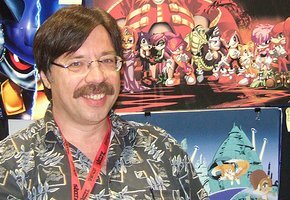 To his credit, Ken Penders did say last month the rift between him and former employer Archie Comics wasn’t over after Archie head Mike Pellerito said it was, and that he would “use every legal means at my disposal to protect and preserve” his work from the Archie comics, including characters he claimed to create. But it would appear that threat in October likely prompted Archie Comics to file a civil complaint last week in New York’s Southern District Court, a federal court. A link to the case synopsis was posted on the writer’s message board late Tuesday. Penders is listed as a defendant in the case, and Archie, the plaintiff, has requested a “Declaratory Judgment” and, if necessary, a jury trial. What does that mean? A declaratory judgment, in Layman’s terms, is a way for a court to declare rights and obligations in an ongoing dispute–in essence, who owns what. In the case of copyrights and intellectual property, it is largely a defensive move, typically as a response to a lawsuit threatened but not filed, or a preventive measure to stop further threats. In Archie’s case, it likely is a way to settle once and for all who owns the work Penders is disputing. These suits can follow the receipt of a formal cease and desist letter, but it’s not clear whether Penders ever sent such a notice to Archie directly. Were that the case, filing for declaratory judgment can sometimes be a power play, especially as the lawsuit was filed in Archie’s federal district, close to headquarters, and far away from Penders’s California home–potentially forcing him to make the trip east to respond. Still, a counterclaim is not out of the question, if Penders is serious about his copyright claims. Declaratory judgments don’t necessarily order action on any one party, since they ultimately are meant to clear the air, but awards for damages are possible in a ruling. It’s not yet clear whether Archie is seeking compensation in the suit. We should note neither Penders nor Archie have spoken publicly on the matter since the lawsuit was filed. TSSZ News will attempt to obtain a copy of the lawsuit filed last week through court records. If successful, we’ll try to dissect what Archie is seeking and why they filed it here. Stay with TSSZ News for the latest on this ugly turn in the Archie-Penders dispute.